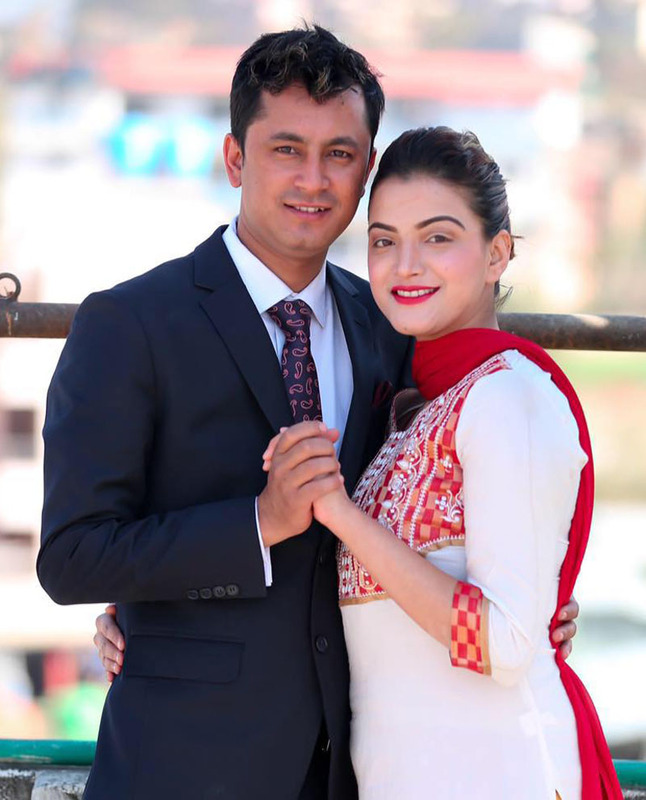 From surprise engagements and weddings to revelation of long-hidden secret love affairs, actors and actresses of Nepali film world have from time to time surprised the audiences with revelation of their romantic relationships, engagements and wedding announcements. Here Reporters’ Club Nepal looks at the romantic and marriage life of some of the most notable, talented and respected artists of Nepali entertainment industry. Nepali ‘Maha Nayak’ (Great Hero) Rajesh Hamal got married with his longtime girlfriend Madhu Bhattarai on May 24, 2014, at the age of 50–silencing the long-standing inquisitiveness of his fans if he would remain a bachelor all his life. The Nepali movie Mega star’s wedding received wide media attention as his wedding reception at Shankhar Hotel was attended by celebrities and VIP guests including the then Prime Minister Late Sushil Koirala. His wedding was performed at the Annapurna Hotel, where only the bride and groom’s relatives were invited. There were tons of questions and curiosity among fans why Rajesh Dai would not get married. Hamal had confessed in social media that he was in love with Bhattarai five years before marriage, according to media reports. Hamal met his spouse during a beauty pageant in 2004. 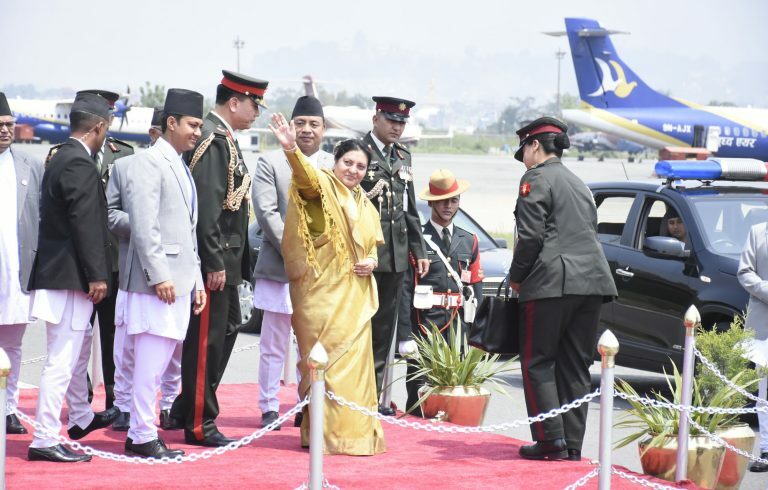 Though Bhattarai did not win the competition, she was, however, able to win the attention of the Maha Nayak. Hamal, who was impressed by the beauty and talent of Bhattarai, offered her his visiting card. It paved way for their passionate conversation and dating which would later develop into a beautiful love affair. Bhattarai is 22 years younger than Hamal. Hamal, the host of popular show Ko Bancha Karodpati, a Nepali television game show based on the British program Who Wants To Be A Millionaire?, is one of the most respected public figures of Nepal. The above is a quote from Hari Bansha Acharya from an interview with The Kathmandu Post, days after he married his second wife Ramila Pathak. He had lost his first wife, Meera Acharya, months ago, to brain hemorrhage while undergoing treatment at Kathmandu Model Hospital on April 20, 2011. Meera, a Radio Nepal anchor, was also suffering from heart disease. She was 46. They had two sons. Actor, comedian, singer and writer Acharya is the most notable, respected and iconic character in the Nepalese entertainment industry. He, with his comedy duo, Madan Krishna Shrestha, known as Maha Jodi, is the best comedy duos ever lived. The loss of the first wife was such a tragic part of Acharya’s life that he suffered from depression. Then his sons, Shrestha, and well-wishers encouraged him to open for the possibilities of new relationship and marriage. Pathak was introduced to Acharya through a friend. She was then widowed 10 years ago and had a 21-years old son. According to Acharya, due to their shared history, they decided to give their relationship a chance and tied their knot on June 12, 2012. “We decided to get married, but the day when I had to step out of my house to marry for the second time, was the most difficult step of my life,” he told Smart family. Author of one of the best selling books of Nepal, China Harayako Manche, Acharya tributed the book to his late wife Meera and the proceeds from the book were given to a trust of her name. Actress Priyanka Karki and Actor Ayushman Deshraj Shrestha Joshi couple are one of the hottest couples of Nepali film world. 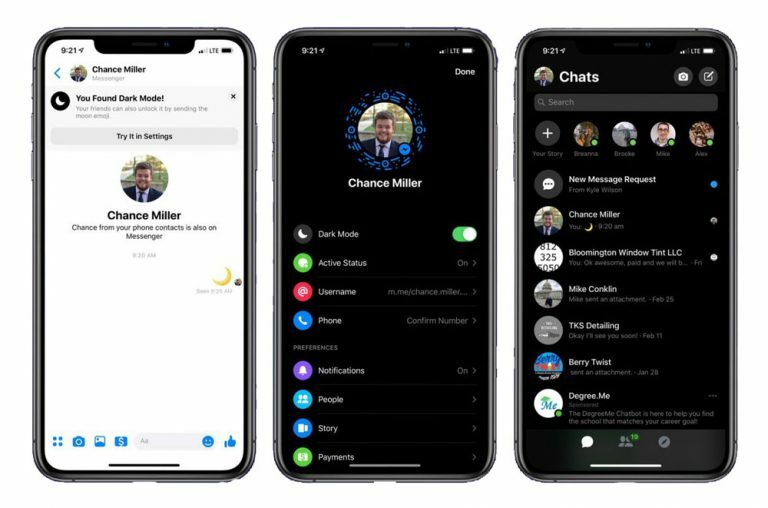 They got engaged on July 14, 2018, after a more than one-year-long affair. The 31-year old actress Karki was earlier married to Rochak Mainali at the age of 22, but their marriage had ended in divorce. She then dedicated herself to an acting career and established herself as the most promising actress in Nepali film industry. Karki met Deshraj in 2017, who had studied in the same school. Deshraj, the winner of Face of House of Fashion En Vogue 2015, had at the time started his career as actor debuting in Chapali Height 2. Karki and Deshraj are expected to get married in 2019. Director Nischal Basnet and actress Swastima Khadka are one of the most ideal couples of Nepali cine industry. Basnet and Khadka, after a few months of dating, got engaged on December 14, 2015, and tied their knot on February 16, 2017. Khadka is considered as one of the most beautiful and successful actresses of Nepali film industry, while Basnet is known for a game changer of Nepali film, after his critically acclaimed movie Loot (2012) became the blockbuster of all time then, grossing over more than 5.5 crores. The movie is believed to have restored the youth audience in Nepali cinema. 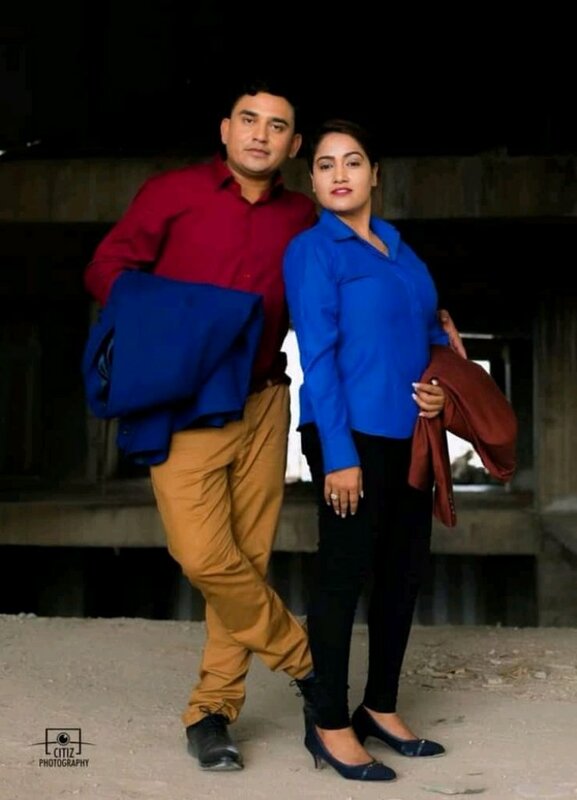 No pair is perhaps as more popular and loved as Basnet-Khadka couple among the youths—that they call them ‘Rastriya Daju’ and ‘Rastriya Bhauju’. 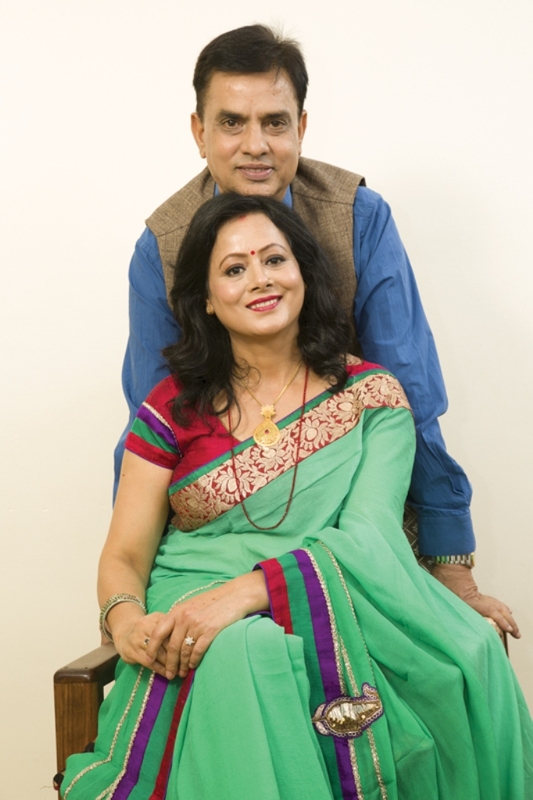 Comedians Sitaram Kattel and Kunjana Ghimire, popularly known by their serial name Dhurmus and Suntali, are the most known, respected and inspiring couples of Nepal for their talent and active involvement in social works. 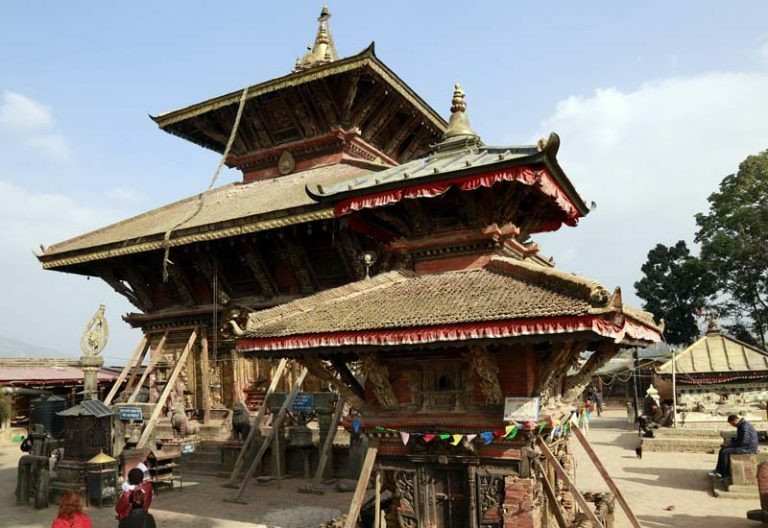 Kattel and Ghimire are the founding members of Dhurmus Suntali Foundation, a charity established to help the devastating 2015 April earthquake victims. Comedy actor Kattel gained huge popularity for his versatile roles in his own sitcom Meri Bassai, which began in 2006. He was one of the main characters of Meri Bassai and has played more than 24 roles in the popular and longest running TV series–establishing him as one of the most talented and best comedians ever. Kattel met Ghimire in the Meri Bassai set. Ghimire played as Suntali, wife of Dhurmus and Jhumri. They shared similar romantic interest behind the television set as well. They gradually fell in love with each other. Kattel and Ghimire tied their knot on November 29, 2008. 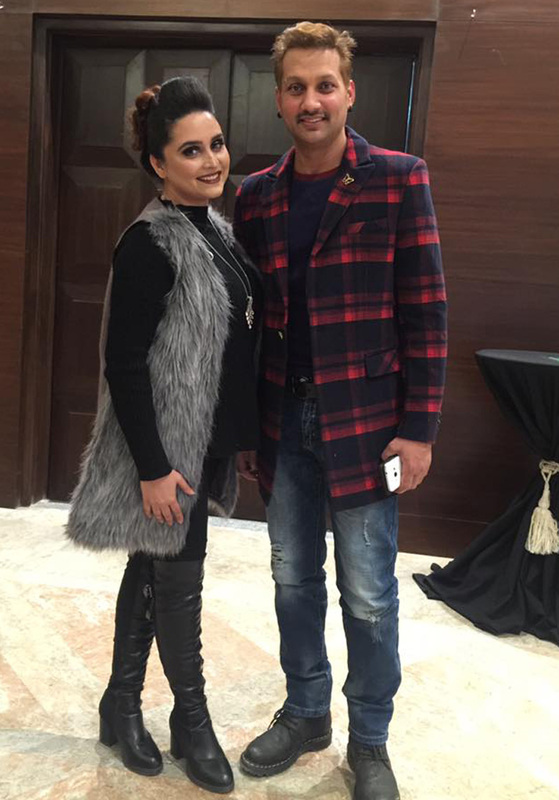 Actor Nikhil Upreti and Actress Sanjita Luitel got married in 2009 and have a boy and a girl Kashal and Sahisha. Their romantic relationship remains as one of the most dramatic love affairs of Nepali film world. Actress Luitel, a Masters in Arts graduate, was earlier married to Aakash Shah in her teenage going against the will of her family. However, their marriage did not work and ended in divorce. After the separation, Luitel dedicated her life in acting career and established herself as one of the most beautiful and talented actresses of Nepal. She then fell in love with Upreti, who was then already married to Kopila Upreti and had a son. Nikhil and Kopila had tied knots in 2002 after their eight years long love affair. Various media reported that Upreti and Luitel eloped to India to get married even sacrificing their career. Luitel later returned back to Nepal after becoming pregnant. It was reported that the couple had struggled in Mumbai to make to the film industry. Luitel at a Kantipur Television program Rajatpat broadcast in June 2010, had revealed that she had married to actor Upreti some two years back after a three-year-long love story. She had also claimed that Nikhil had not stayed with Kopila for two years and would bring bank her spouse from India soon. However, Kopila in an interview with Nagarik had refused Luitel’s claim. Upreti made a comeback to movie industry through Bhairan in 2015 which became a blockbuster. Upreti, also a director and producer, was considered as one of the biggest stars of the 2000s and had gained the reputation for his stunts in the movies. Actress Deepika Prasain and director and scriptwriter Diwakar Bhattarai are engaged and legally married to each other since October 2018. 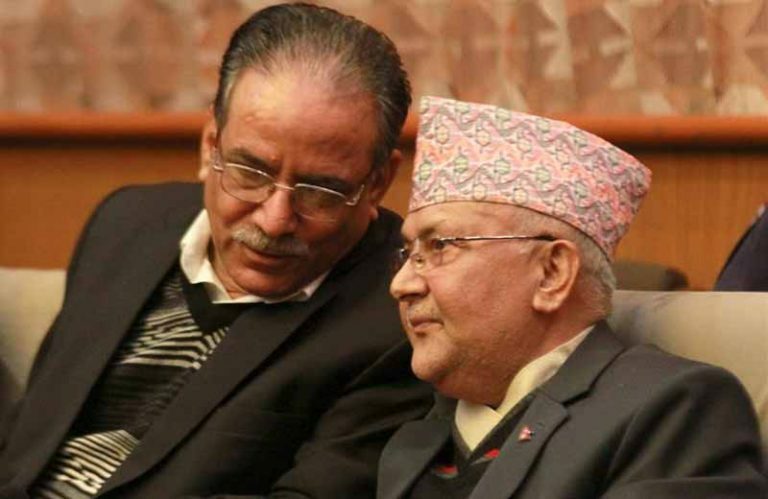 Prasain and Bhattarai had done court marriage but had kept their relationship secret. Later the couple became the talk of the town after they confirmed their engagement via facebook status. They are tying the knot in April/May (in Baisakh, 2076), according to the Kantipur. Prasain made her debut in the acting career in Aishwarya (2017) directed by Bhattarai. She has also acted in the third installment of Chakka Panja franchise. Bhattarai has also directed successful movies like Jeevan Sathi, Stupid Maan and Dreams. Actress Barsa Raut and actor Sanjok Koirala tied their knot on February 14, 2019, coinciding Valentine’s Day, after seven years of a love affair. Raut, a popular music video model, is one of the most demanding actresses of Nepali film industry. She made her debut in film career in Nai Nabhannu La 4 and also acted in blockbuster movie Chakka Panja. Koirala, also a producer and entrepreneur, has acted in Katha Kathmandu (2018) and also featured in a number of music videos. The Rishi Dhamala and Aliza Gautam pair are one of the most talked about couple in the country. Rishi Dhamala is a celebrity journalist and is so popular for his reporting style that there is rarely any literate person who does not know him. 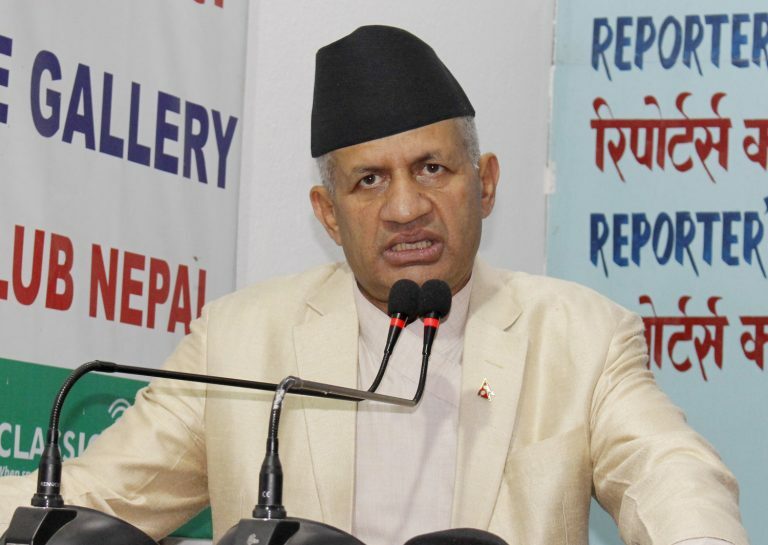 His cheeky questions during the interviews have pulled Dhamala into several criticisms in social media. 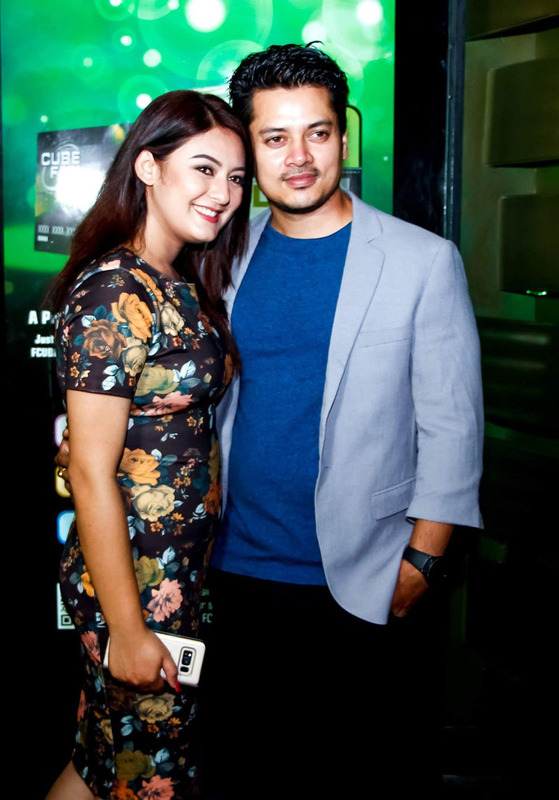 The founder of Reporters Club Nepal is married to actress and producer Aliza Gautam, whose first film Anurag was released on September 28, 2018. Their age gap is 17 years but their happy marriage makes age just a number. Dhamala and Gautam pair is very famous and has appeared in several interview shows on Television. 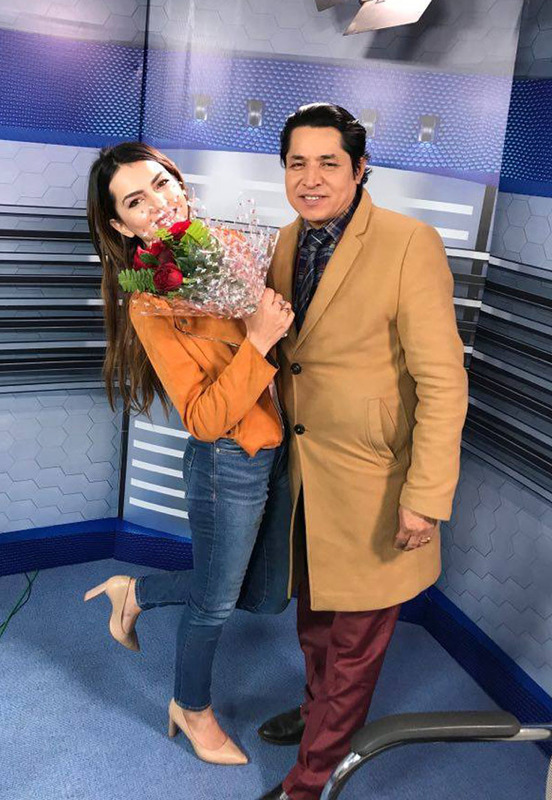 Journo Dhamala is always used to praises his spouse for her beauty and brain during the interviews while actress Gautam says she is happy that her husband has always been supportive toward her acting career. Gautam, a PR holder of Canada, met Dhamala at a function when she had just finished her School Leaving Certificate (SLC), now (SEE) examination. She was accompanying her mother Gita Gautam in the program. Gautam and Dhamala gradually started dating and got married later in 2014. They have a daughter and a son.